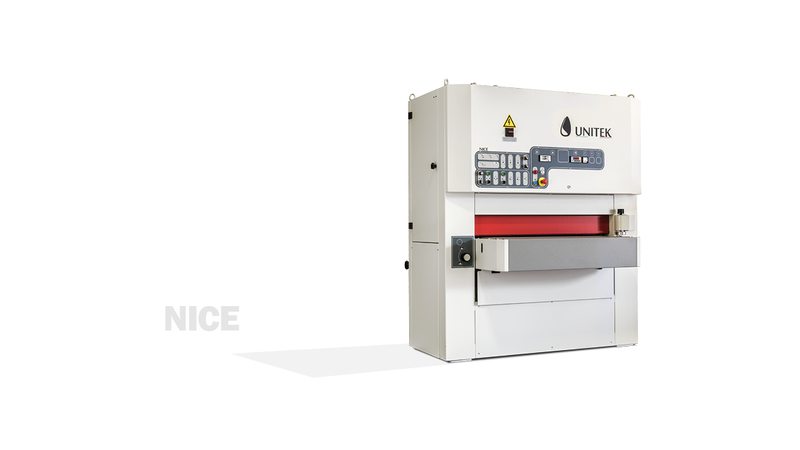 Nice line, the small Sanding/Calibrating machine in the Unitek woodworking range. Minimal size, ease of use, low energy consumption and excellent processing capacity for craft-production. Of rugged construction, it is fitted with large-diameter rollers and long belts, requires very little maintenance and provides precision processing in complete safety, in accordance with EC standards. Working width: 650-950.